Your first point of contact should always be the study abroad coordinator at your home university. It is our policy not to communicate directly with a student until we have received a nomination for that student from their home university. March 15 (Fall/Academic Year) Expected date of acceptance: late May to early June. September 15 (Spring) Expected date of acceptance: late November to early December. There are 4 steps in the College of Engineering exchange student application process: student receives online application link and instructions from study abroad coordinator at home university, student completes online application, application is reviewed by the College of Engineering, final acceptance from the International Admissions Office. Please see How to Apply  for detailed application instructions. Must be a student at a University of Illinois, Urbana-Champaign College of Engineering partner university. We cannot guarantee enrollment in any specific course, even if you need the course to meet the requirements of your home university. It is important for exchange students to be as flexible as possible in their course selection. College of Engineering exchange students cannot take courses offered by the College of Business—NO EXCEPTIONS. Courses in Computer Science, Electrical and Computer Engineering and Mechanical Engineering are in very high demand and difficult to register in. We cannot set up or guarantee exchange students will be able to participate in research projects during their exchange. Exchange students who want to participate in a project should connect with the department/faculty during the first weeks of class to see if there is the possibility of working on a project. We cannot accommodate exchange students who are REQUIRED to do a project as part of their exchange program. 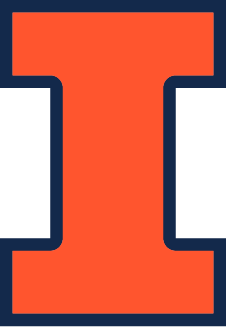 Visit the Academic calendars for future terms at the University of Illinois at Urbana-Champaign.